Any time I’ve ever said anything on social media that was offensive, stupid, unfunny, or simply made a typo, it’s because my account was hacked. But if I said something you like or agree with, that was all me. 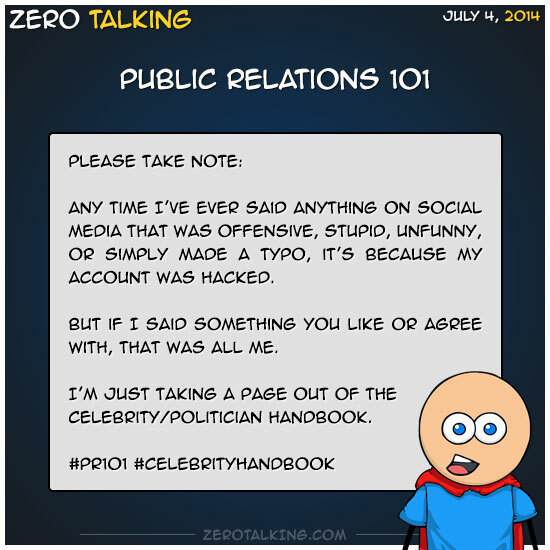 I’m just taking a page out of the celebrity/politician handbook.